Corsair SP120 Quiet PWM Edition. Performs at 1450rpm, 37.85cfm airflow, 1.29mm/H2O static pressure and 23dBA operating volume. 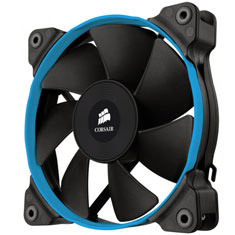 The Corsair Static Pressure series fans are designed to put out the highest static pressure while keeping noise low. 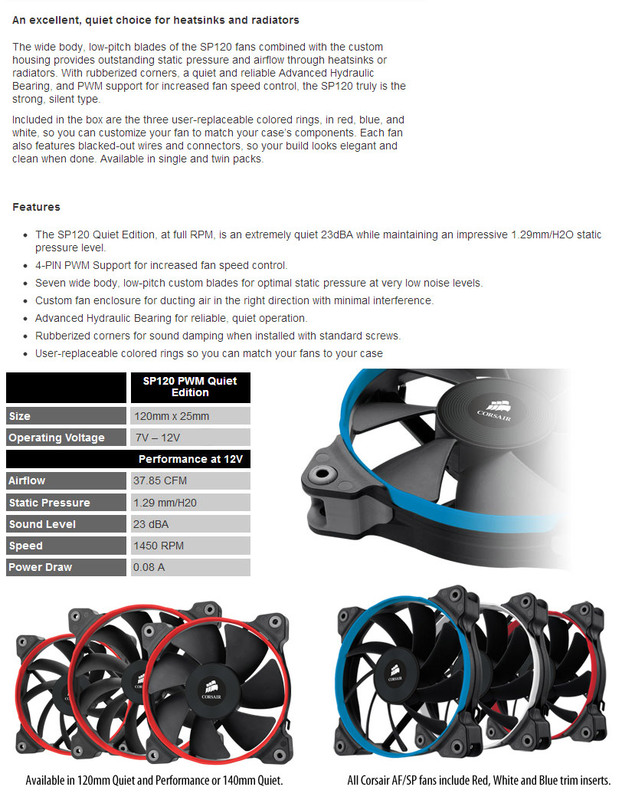 The SP120 Quiet Edition offers impressive static pressure to push the maximum air through a heatsink or radiator while keeping noise levels low at just 23dBA. Includes 3 different colour trim inserts & mounting screws. Backed by a 2 year warranty.